“I love boxing. I love Hallmark movies. I love fishing. I love scrapbooking. Nope, I've never fit into the boxes people have wanted to put me in.” ~Robin Caroll is definitely a contradiction, but one that beckons you to get to know her better. Best-selling author of more than twenty-seven novels, ROBIN CAROLL writes Southern stories of mystery and suspense, with a hint of romance to entertain readers. Her books have been recognized in several awards, including the Carol Award, HOLT Medallion, Daphne du Maurier, RT Reviewer’s Choice Award, and more. When she isn’t writing, Ro “I love boxing. I love Hallmark movies. I love fishing. I love scrapbooking. Nope, I've never fit into the boxes people have wanted to put me in.” ~Robin Caroll is definitely a contradiction, but one that beckons you to get to know her better. When she isn’t writing, Robin spends quality time with her husband of twenty-eight-plus years, her three beautiful daughters and two handsome grandsons, and their character-filled pets at home. ""She wasn't quite sure how she was going to handle what was about to become an international incident, but Adelaide was certain of one thing: she was about to find out." "I was gifted my ARC and it is my pleasure to have been able to read and review the second in this series. Robin Caroll voted for Die Again (Rizzoli & Isles, #11) as Best Mystery & Thriller in the Final Round of the 2015 Goodreads Choice Awards.
" Awww....thank you so much for taking the time to post a review! It's greatly appreciated. :) "
" I've never had anyone die in my arms, but I was there when my grandmother passed away in the hospital. I can't even imagine how horrifying it was for I've never had anyone die in my arms, but I was there when my grandmother passed away in the hospital. I can't even imagine how horrifying it was for Remington. ...more "
Robin Caroll joined the group Nancy Drew Fans Only!
" Peg wrote: "Hi, Robin! Good to see you here on Goodreads! Thanks for reaching out in friendship." " As others have recommended King's "on Writing", I'll also recommend Donald Maass' "Writing the Breakout Novel" workbook "
“Beyond that row was a double row of trees. Sam headed in that direction, Dad on her heels. That stopped her in her tracks. She could deal with a snarling dog. A hissing cat. Even a spitting ferret like her cousin Chris had, but she had the biggest fear if snakes. It didn't matter if it was a grass snake or a supposedly good snake that ate the poisonous snakes. In Sam's opinion, the only good snake was a dead snake. Dead and chopped up into little, itty, bitty pieces. “Sam: "You know what they say about kids of LEOs, right?" Makayla: *laughs* "Cute. No, what do they say about LEO's kids?" Sam: "That we're most likely to cross the legal line, or at least go right up to it." Makayla: "You fit that description to a T."
What Suspense book would you most like to read for our October Additional Group Read? 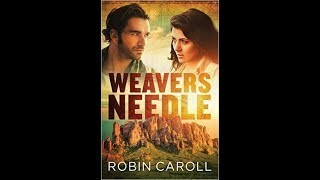 Author Robin Caroll will share with you insight on her books, the writing life, and just about anything you ask! This is for people who love the Nancy Drew books. Anybody can join. Thanx. Enjoyed meeting through your profile. Peg wrote: "Hi, Robin! Good to see you here on Goodreads! Thanks for reaching out in friendship." Hi, Robin! Good to see you here on Goodreads! Thanks for reaching out in friendship.